After breaking free from the confines of Earth, humankind spread throughout the galaxy, setting up colonies on distant planets and hollowing out enormous asteroids for use as space stations. A golden era of post-scarcity was attained. Millions lived among the stars, packing the streets of the cities within the gargantuan rocks, wandering carelessly below glittering towers and flitting about the star systems through massive interstellar jump gates. Humankind wanted for nothing, and no corner of space seemed beyond our reach. However, once mankind had everything it wanted within its grasp, the desire for striving and achievements melted away under a blanket of apathy. Where once we reached for and conquered the stars, humanity now sat complacent, stagnating in decadence, corruption, and excess. Scientific innovations came to a stuttering halt. Expansion through the universe stalled and the advances and leaps of intuition we were once known for fizzled out. Why struggle when you want for nothing? Mankind was at a pinnacle, a rotted golden age, and saw no reason to go any further. In an instant, that all came crumbling down. About two centuries ago (Galactic Coordinated Time), civilization was destroyed. 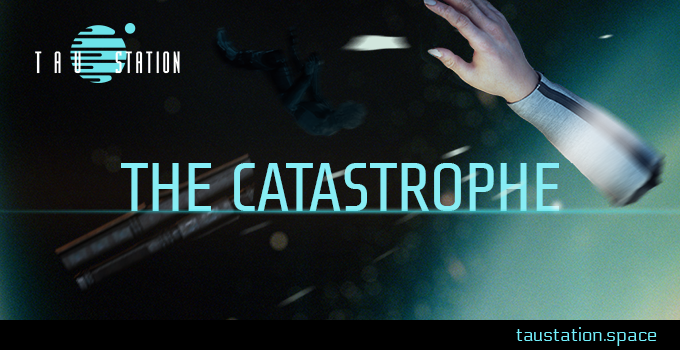 Humankind was viciously attacked en masse in an event known as “the Catastrophe.” No one knows why the event happened, though there are many theories. Planetary defense systems were turned against the planets they were supposed to be defending. Stations across the galaxy had their air vented, life support systems shut off, and databanks purged. Reactors went critical on ships. Humanity, across the galaxy, was driven to near-extinction in the space of just a few segments. Then the attack abruptly stopped, also for reasons unknown. In the aftermath, planets were unreachable by those remaining few who were sprinkled out among the stars. For every station with survivors, there were at least a hundred more without. Most human knowledge was destroyed and the jump gates, which connected the star systems to one another, were rendered inoperable. Books were an anachronism, so the databank purge wiped out most of our history, as well as all of the information on the technical advances that had been made throughout time. Those survivors with expertise in their fields were quickly called upon to spread their knowledge, but their knowledge was piecemeal. Without the massive databanks, technological advances came to a halt. There have even been disputes about the current year, but it’s believed to be the middle 2600s. Today, no one knows the entirety of how to build a starship, or how to construct one of the massive wormhole jump gates. However, we’ve retained or relearned enough to at least repair the gates — if we can scavenge parts from dead stations or ships. This is humanity today. Most of our history has been lost. Much of our existence is a hardscrabble lot, and we few left trying to recover and to simply stay alive. Humankind’s reign has been reduced to a 40 light-year sphere, centered on Sol System. Contact with the planets and most of the other star systems has been cut off. Humans are slowly rebuilding their ruined stations, in hopes that one day, we can regain our former glory. But who attacked humanity and why? And more importantly, are they coming back? There are many theories, but no proof or any solid evidence. Whatever the cause, most of humanity have been raised to be on permanent alert. We’re rebuilding, and if the attackers return, we want to be ready.